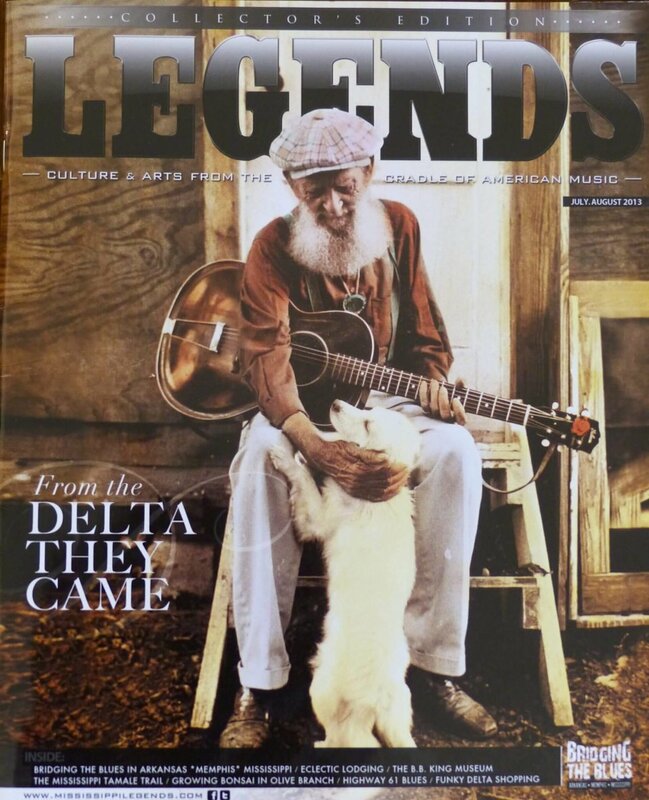 Delta eclectic Lodging article was published in Legends Magazine in July August 2013 issue. The Delta Bohemian Guest House was featured as a Delta Eclectic Lodging spot in Clarksdale, where Southern hospitality and quirky originality rule. Those seeking more privacy may want to consider the Delta Bohemian Guest House. Set in a residential neighborhood close to downtown but not actually in it, the Delta Bohemian Guest House includes access to a private pond and garden, so it’s a good place of respite for those who want to relax outdoors. “Our guest house was built as a cook’s house for the home that we live in,” said Madge Howell, who resides in the larger home on the property, the Delta Bohemian. For guests wanting more peace and quiet, the Delta Bohemian Guest House is set in a residential area close to downtown and offers a Bohemian garden and pond. 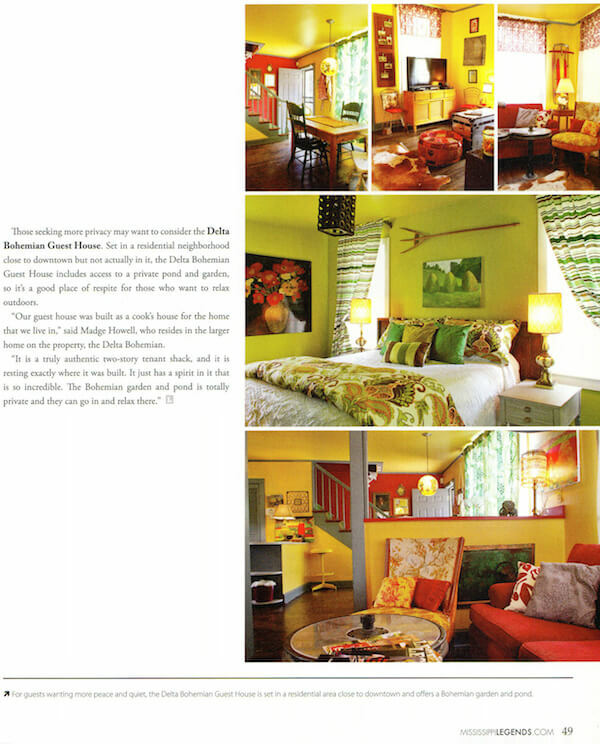 The Delta Bohemian Guest House first opened in August 2012 by co-founders of The Delta Bohemian, Madge and Billy Howell. This overnight accommodation is ideal for travelers interested in the Blues, Mississippi Delta culture and who is searching for that perfect combination of authentic Delta, sophistication, comfort and attention to detail.